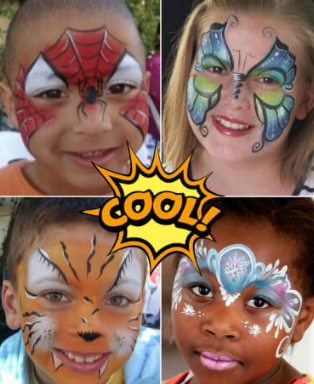 Add More Fun to Your Party with the Best Face Painters Around! Face painting is a guaranteed success at any child's party. Whether the party is for boys or girls, princesses or super heros, our professional face painters add an extra level of excitement. Feel free to let your creativity run wild! For your child’s next birthday party, make sure one of our expert face painters is on the guest list! 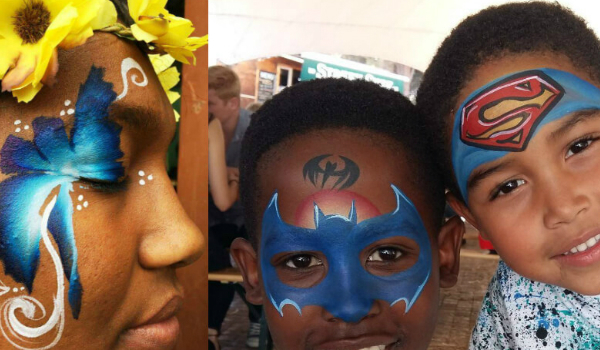 When it comes to face painting in Sandton, Randburg, Midrand, Pretoria or anywhere in Gauteng, our face-painting artists can transform your birthday child and all of their guests into princesses, monsters, or even a Super Hero! Has your child always wanted to be a butterfly? Now they can, with the artistic painting skills of our face painters. They can also have anything else their imagination can think of. Either on their face, hand, arm or cheek. Why are The WOW Factory's face painters so successful and high in demand? Because we employ only the finest face painters in the industry. “As a mother of five children, we have had so many birthday parties with face painters. NONE of them are anywhere near as talented, friendly and great with kids as the face painters we book from you! Thank you for making it so easy to book and for making my children's birthday parties so memorable!" Why Choose a Face Painter? Make your next birthday party bright and colorful with face painting. The great thing about face painting is that it can work with any theme. 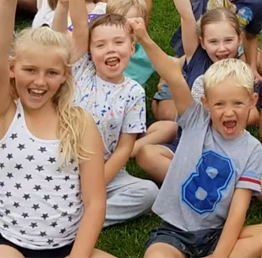 Make your child's party truly memorable! Add some sparkle to a Princess Party, create a one-of-a-kind Halloween theme with ghouls and monsters, or a stand-out simple and small design that is both beautiful and elegant. The WOW Factory's professional Face Painters offers face painting and glam FX for girls, boys, and teens dressing up for any occasion. 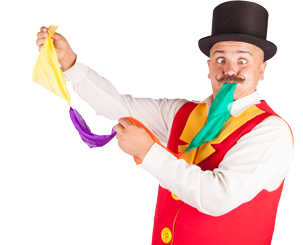 “I highly recommend anyone that wants to book birthday entertainment for their child's party to use The WOW Factory." What Makes Our Face Painting so Popular? All of our face painting artists continuously take classes, work shops and attend conventions with some of the best face painting instructors and artists in the world. Always dedicated to constantly improve and learn new techniques to make their face painting creations better and more detailed then the rest. "You guys are simply the best face painters we have ever used! Looking forward to having you perform at all of our events going forward." Is The Face Paint Safe And Easy To Come Off? We use only the highest of quality professional theatrical makeup that is waterbased, hypoallergenic and nontoxic as well as cosmetic glitter made by brands such as Kryolan, Wolfe FX, Cameleon, Mehron, and Sugar Glitter. A little bit of soap and water and viola... all clean! We can easily accommodate 10-15 children per hour if you would like large designs. For smaller designs, we can safely do up to 20 children per hour. "Tiffany made sure that my little one's princess party was a dream come true, Thanks!" 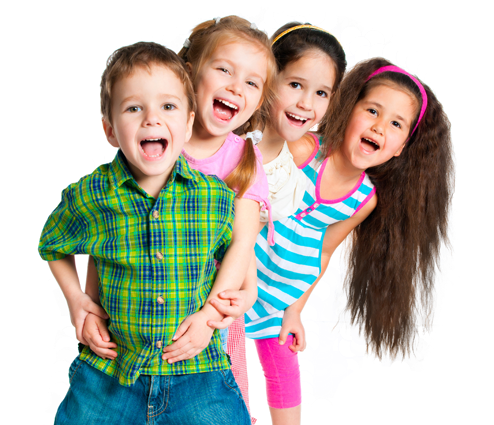 Let us take the stress away from you by providing the perfect birthday party entertainment for your child’s special day. We are based in Northcliff and cover Sandton, Johannesburg, Pretoria and all surrounding areas.